The US Mission to NATO regularly invites Western journalists to Afghanistan to show what is being done there in terms of security and how. Six European journalists representing Austria, Hungary, Slovenia, Iceland, Georgia and Russia made the trip from Kabul to Kandahar to Bamian to Kabul again this May. Russia was represented by Arkady Dubnov of Moscow-based newspaper Vremya Novostei. 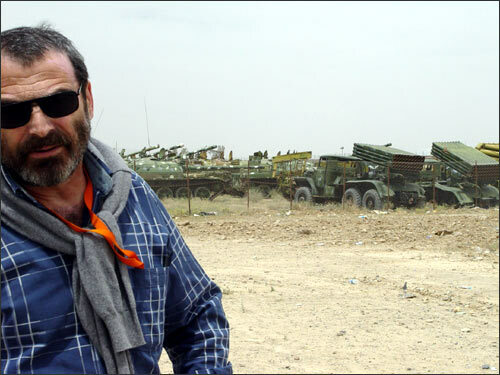 Arkady Dubnov told Ferghana.Ru what he had seen in Afghanistan on his return to Moscow. Since the Americans were responsible for our safety, we couldn't go anywhere without a bulletproof vest, steel helmet, and accompanying officer. All decisions concerning what we were to see and what the program of the trip would be were made by the Americans. For example, we never saw the city of Kandahar itself and had to stay on the territory of the base only, 25 kilometers away. The Americans said that a trip to Kandahar itself would be took risky. Even what we saw, however, enabled us to understand certain things. I wanted to know how earnestly the Americans and the rest of the Western coalition believed that they would rid Afghanistan of a strong anti-Western bias and readiness to promote terrorism. Afghani determination to avenge the United States and the West prompted the Talibs to offer shelter to Al-Qaeda in the late 1990s. By and large, tolerating armed foreigners on their land for eight continuous years is not typical of the Afghanis. I'd say that the point of bifurcation approaches, the crucial moment when everything will collapse. In fact, the explosion may occur even sooner than one a safe distance away might be thinking. 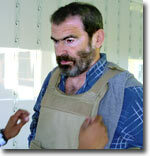 Majority of ISAF personnel are decent people doing their jobs. All these men signed contracts and being what they are, i.e. being men who cannot help respecting contracts, meet all the requirements specified there. And yet, do these people understand what will happen in this country when their contracts are finally history? It is unlikely that they do. They probably believe that everything will be fine - and thoughts of exactly how or through whose efforts do not worry them at all. It will be a job for whoever comes after them. I found this attitude bizarre, but that was probably my Soviet upbringing talking. I know how Soviet specialists worked in Afghanistan - for a pittance of pay (compared to what the Americans are paid, that is) but with the firm conviction that they were helping a sisterly nation. I admit nevertheless that some might sneer at this conviction. Besides, I cannot say that I know anything about how the Afghanis treated Soviet specialists and Soviet aid then. Even if their attitude then left much to be desired, however, I know now (I saw it with my own eyes) that the Afghanis long for those times. Whenever I happened to be, I met people who spoke Russian (they had either worked or studied in the USSR). These people seemed to take to me instinctively, just because I was from Russia. And they always wanted to know why we had ever left. Touring Kabul, I saw residential areas of four-floor tenements built by the Shuravi (the Soviets) with metal swings for kids in front of them of the kind one frequently encounters even in Moscow. I understand that the Soviet Union did a lot then and did it cheap. Work of Soviet specialists cost as much as their Afghani counterparts' then, or perhaps just a bit more expensive. Afghani labor cost and cost of Afghani specialists remained unchanged, but the cost of whatever the West has been doing in Afghanistan increased enormously. We were shown a farm established and developed two years ago with help from USAID specialists. 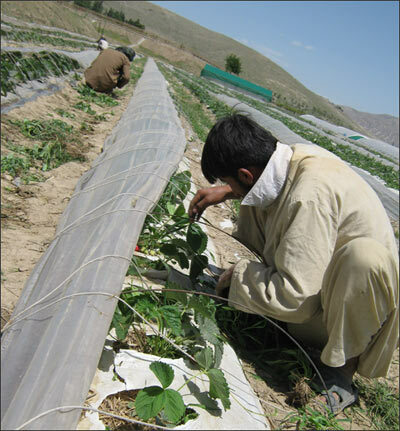 It takes two hectares of the once barren land in Kabul outskirts. Agriculturists grow lots of things there but I was particularly amazed to see strawberries. Seeing it there was really uncanny. I've been visiting this country since the early 1990s and never seen strawberries anywhere, not even at bazaars. 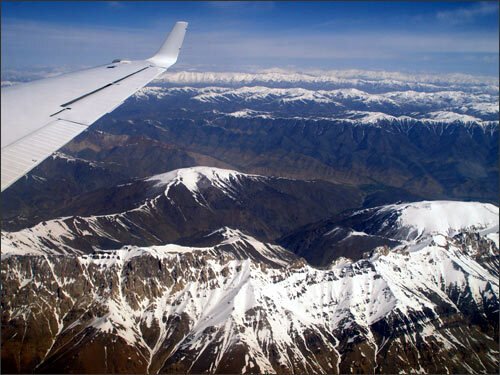 Afghanistan is a mountainous country working whose soil is always a chore and requires a great deal of time and labor. I asked what they were doing with the strawberry yield. They said they were selling it to nearby hotels. The famous Afghani raisins were pride of export from this country once. These days, the Americans teach the Afghanis to cultivate grapes all over again. 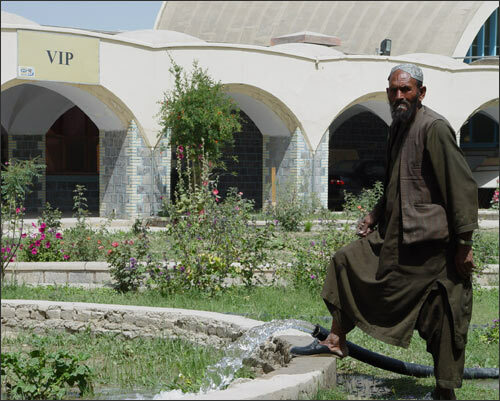 The farm we visited was the only such establishment in the Kabul region. 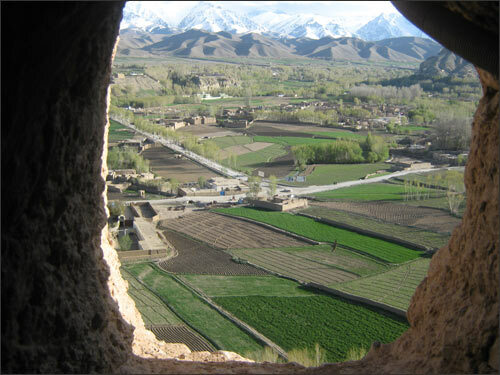 It is expected to teach the Afghanis modern agricultural techniques and, hopefully, convince them that growing grapes is better than cultivation of poppy. The Americans are trying to teach the Afghanis to trade in such a manner as to make the customer interested rather than the intermediary. They are trying to teach the locals to communicate without intermediaries. Never thrusting strangers, even when they are fellow Afghanis, the locals always need an intermediary who will make contact possible. Without that, the idea to have new experience and techniques passed on by word of mouth seems hopeless. The people who work at the farm command respect. The Americans invest funds, introduce new techniques, and teach the Afghanis. Unlike the Russians who always preferred to do whatever had to be done with their own hands, the Americans merely supervise. I hope that they will succeed, even though chances of success appear to be dim. It takes very long to condition the Afghanis and whether or not the Americans and the locals have the patience remains to be seen. If the West pulls it off through investment of sufficient sums and application of sufficient political will, then becoming another India is the best thing that may happen to Afghanistan. In India, there are millions of the impoverished and there is a considerable middle class of people with commendable education, good jobs, and fine salaries. The gap between these two strata of society is immense. It is probably the lot of all Third World countries. Still, I lack the optimism that will enable me to see the future of Afghanistan in this manner. Unfortunately, the Afghanis view the current state of affairs as occupation. I talked to the farm's financial manager, an Afghani. The man was about 50. He had studied in Krasnodar once and retained fond memories of those years (and of Russian girls). The man told me that his monthly pay amounted to $1,500. It was a shock. "Yes, I know that it is a considerable sum by Afghani standards," he said. "It is considerable even by Moscow standards," I told him. This man was one of the representatives of the future blue blood, this man owed a great deal to the Americans... and even he bristled at the occupation. It is fair to add that the Afghanis once regarded Soviet presence in their country as occupation too. A major of the Afghani police (about 50 years, too), struggling with barely remembered Russian words and mixing them with English ones, demanded to know "Why did you go? Sure, we did fight, but why did you go away? The Americans came instead." - "What if they go away too?" - "It will be chaos then," another officer, somewhat younger, replied. I was surprised to hear that. The Afghanis know that it will be chaos but want the Americans gone all the same. Thinking a situation through before reacting to it is not for the Afghanis. Emotions first. Or perhaps they like to pretend that they are a proud nation that takes any military presence as occupation rather than aid. The population thoroughly distrust the Afghani authorities. As a matter of fact, even the Russians district their powers-that-be, so that expecting anything else from the Afghanis would be naivete. Abidance by the law, respect for state institutions, even the idea of statehood are thoroughly under-developed in Afghanistan. The Afghanis attach immeasurably more importance to ethnic origins of representatives of the authorities - whether they are Pushtu, Uzbeks, Tajiks, or Khazars. There are confessional differences as well that are always taken into consideration: Khazars are Shi'ah, and all the rest Sunni. It's nothing really unique because the situation in Tajikistan, Pakistan, or India is analogous to the one in Afghanistan. This is where the Americans' willingness to work will be taxed, and they spare neither time nor effort to develop institutions of state power - the army, police, officialdom. They are even trying to develop a national health care system which is more difficult than establishment of a regular army will ever be. 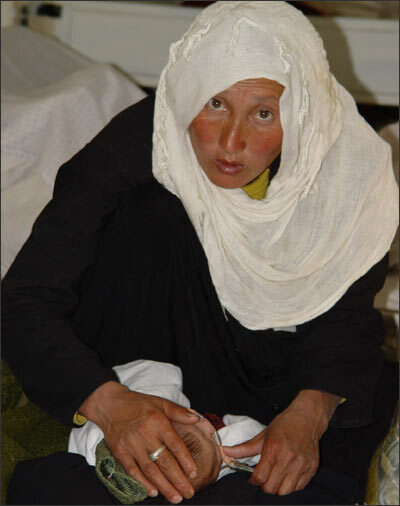 Maternal death rate in Afghanistan is extremely high because men forbid their wives to see doctors. Women deliver children at home. 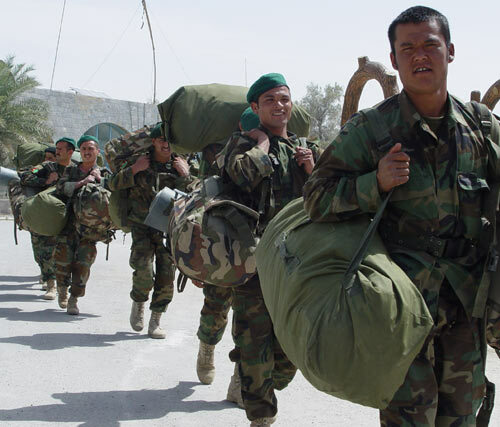 Development of the Afghani regular army is another expensive undertaking, but the army is impeccably outfitted. NATO generals acquainted us with the scheduling network of the planned increase of manpower of the regular Afghani army. It is expected to be 130,000 men strong in a matter of several years. The West relies on establishment and development of Afghani state institutions without which no statehood is possible. Some efforts do bear results. Almost 60% of all operations against the Talibs are run by the Afghani regular army itself. The Americans point out that the Afghanis alter and reorganize the national security framework on their own, without even consulting them. "We are happy that the Afghanis make their own decisions. It affects coordination every now and then, but we never hold it against them because independence is what they need." By the way, the joint commission set up to investigate bombardment of Farakh maintains that the locals themselves requested help from the US AF. Whether they did or not is hard to establish now. The US contingent is stationed everywhere, in all provinces of Afghanistan even including the ones that are under the Talib control. The Americans are mostly restricted to their bases. They leave their garrisons mornings, do the necessary patrolling, and return again by 2 p.m. We visited Kandahar, a province near Gilmend. No foreigners are so foolish as to venture outdoors there after 2 p.m. Getting out of the base is plainly dangerous. Foreigners get shot or taken hostage afternoons. One does see women in Kabul, some of them even with their faces uncovered. In Kandahar, it is different. Women venturing outdoors are an exception rather than the rule. Whenever they do venture out, their faces are always covered. No use expecting better stability or security in the southern provinces of Afghanistan as long as foreign contingents remain there. If you ask me, it is a blind alley. The closer the presidential election, the worse the danger of terrorist acts. When we were in Kandahar, a badly maimed kid of 10 years or so was admitted to the army hospital there. He had happened to be among soldiers of the regular army when a suicide bomber closed the contacts on the device he was carrying right in their midst. Sixteen were killed, 25 wounded. The boy's father said that three members of his family had perished in this explosion. Fighting the Talibs as the Pushtu is an exercise in futility. So is striving for triumph over this movement because civil wars know no winners. The nation is the loser in any event. Fighting the Talibs as wild geese or mercenaries (and there are Arabs, Chechens, Uzbeks, and even Bosnians among them) is different. Mercenaries can be defeated and driven out. This victory is possible in theory, but it will foment a new danger. These people are professional mercenaries who only know how to fight. Driven from Afghanistan, they may and probably will get into Central Asia. In a word, this particular problem of Afghanistan does have a military solution. 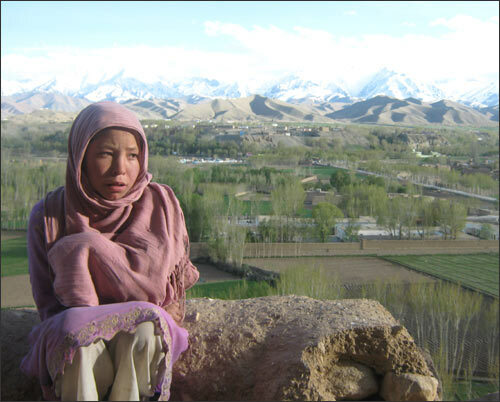 In the meantime, there are the local Talibs, the Afghanis, with whom some sort of agreement will have to be reached. The Americans - and even some people in the government of Afghanistan - eventually begin to understand it. Journalists, human rights activists, and experts unanimously promote negotiations. If the local Pushtu decide to go for a compromise, they will be involved in maintenance of national security. They will even have to be trusted to keep foreign mercenaries away. If the new American strategy allows for it, then it is not hopeless. When we asked US Army generals what they thought about negotiations with the Talibs, however, the answer was inevitably the same, "It's not our business. It's an internal affair of the Afghanis themselves. We are here to make sure that nothing happens to the government. All the rest is up to politicians." And yet, when tragedies like the one in Farakh or Gerat happen (over 90 locals were killed by American bombs in Gerat, last year), they immediately devalue the Americans' theoretic postulates however correct they are. The anti-American disposition gets increasingly stronger, particularly since there are always the men who hate the West and never miss a chance to sow anti-Americanism. 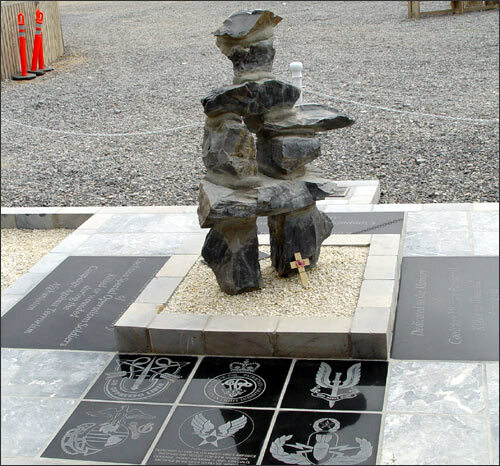 The Americans feel at home on their base in Kandahar. There are lots of small shops there where one may buy souvenirs (even fur Kyrgyz hats) and appliances including powerful cell phones worth $800. In a word, whatever is necessary is easily available, and so is whatever is not necessary at all. There are cafes there including Pizza Hut and Burger King outlets. 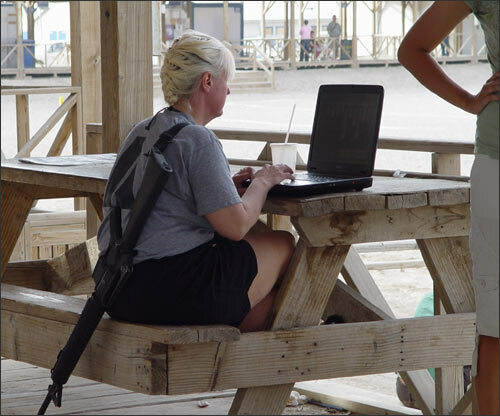 Wi-Fi is available everywhere, enabling servicemen to use their notebook PCs (everyone has them) to e-mail their friends back at home. (Soldiers are soldiers - I saw them visiting web site with photos of girls.) Baseball and Russian hockey fields are located at the base's center. US military personnel eat at the mess any federal ministry in Russia would envy. Fruits, vegetables, meats, fish, any desserts and appetizers - help yourself. Everything is free, fast, and clean. A great assortment of drinks, teas, and coffee brands is available. 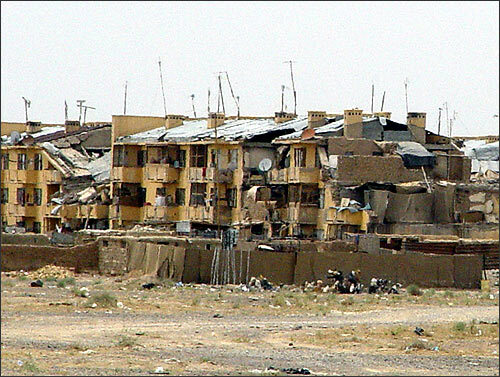 Even the Afghanis judged loyal enough to be trusted with jobs on the base find all this too alien to get accustomed to. In the meantime, the Afghanis working for the Americans literally risk their lives every minute spent beyond the base. This is why they call it a day in early afternoon and close their shops in order to get home before dark. It is clear that all of that is bound to end sooner or later. The Americans do not intend to assimilate and care little about how their behavior is taken by others. They do not care where they operate - in Somalia, Afghanistan, or Indonesia. Whatever location their contract specifies, they know what kind of chow, schedule, and conditions to expect. They know that they will do their job and leave and they think that it is enough to earn the Afghani's respect and sympathies. US Department of State politicians and USAID functionaries, however, know better. Barack Obama probably does too, hence his decision to end this war. I reckon that it will happen in his first term of office, before the election in 2012. It is unlikely that Obama will want the subject of Afghanistan to mar his second campaign for presidency. How the Americans intend to pull out and whether they are to be permitted to do so without hindrance are two major questions. As matters stand, primitive home-made rockets do fall on the territory of the base in Kandahar every now and then.